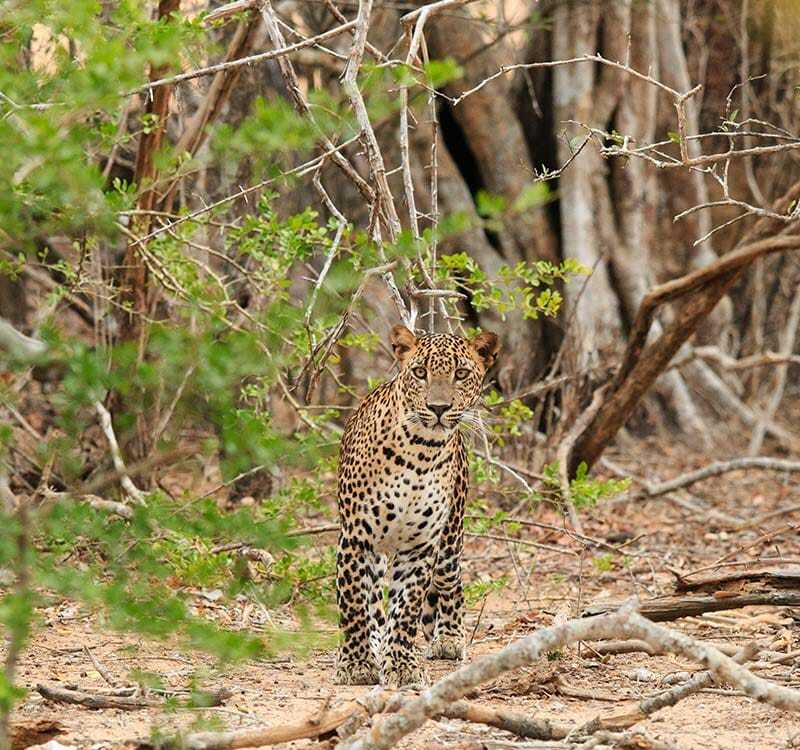 Visiting the Ruhuna National Park, familiarly known as Yala, is on top of the list of things to do in Yala. It stuns visitors with its variety of biomes – monsoon, semi-deciduous and thorn forests, grasslands, freshwater and marine wetlands and sandy beaches where the only footprints you will see belong to foraging birds and animals. It is the largest and oldest of a chain of six national parks and three sanctuaries in the vicinity, and by far the richest in biodiversity, boasting 44 different resident mammal species and one of the highest leopard population densities in the world. There are also dozens of reptile species including turtles, crocodiles, flying snakes and elegant fan-throated lizards. As for birds, Yala has no less than 215 resident and migrant species, of which the flamboyant peacock is one of the most common. Apart from Yala and its satellite parks, other nearby attractions include the Great and Little Basses reefs (best reached via Mirissa), off which blue and humpback whales congregate and dolphins frolic, and where the wrecks of Portuguese treasure-galleons lie scattered across the seafloor; Kataragama, an ancient forest shrine on the edge of Yala, sacred to a local deity often identified with the Hindu god Murugan, that attracts tens of thousands of Hindu and Buddhist pilgrims during the July-August festival season; and Bundala, another sanctuary whose jungles and wetlands attract as many bird species as Yala does, and where the remains of Homo erectus communities half a million years old or more can be found among the coastal dunes. Expeditions to all these locations, including all-day tours of Yala and whale-watching expeditions from Mirissa, are easily arranged at your convenience.